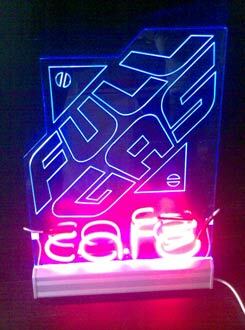 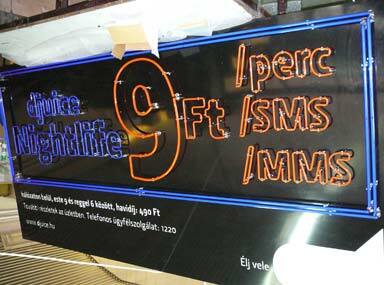 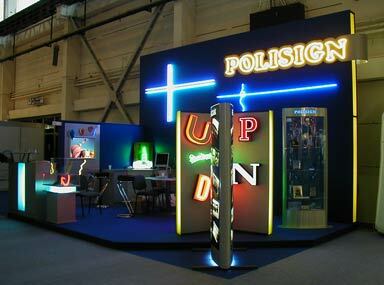 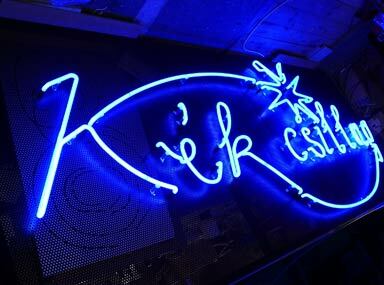 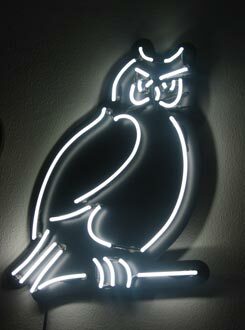 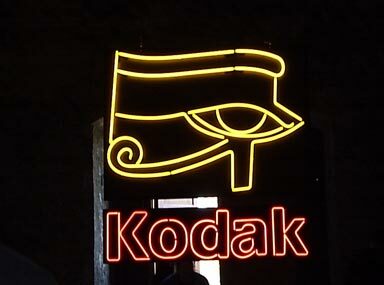 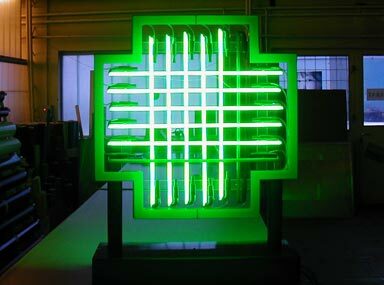 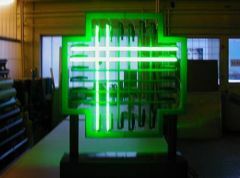 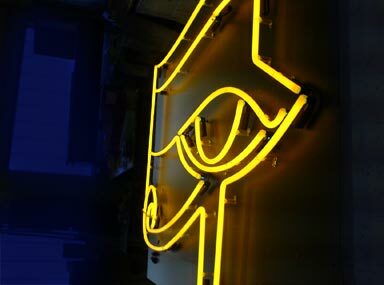 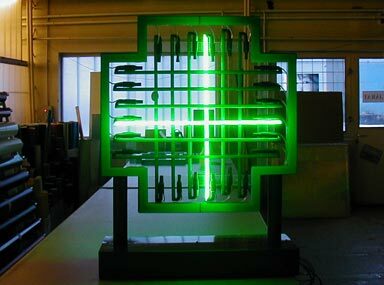 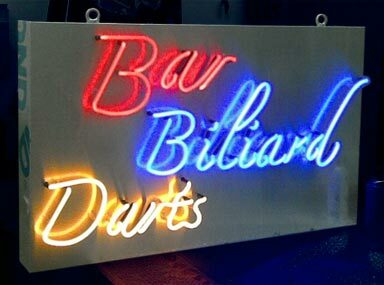 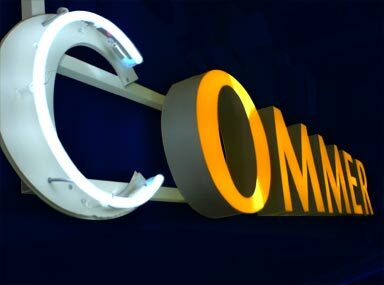 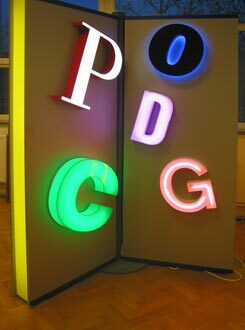 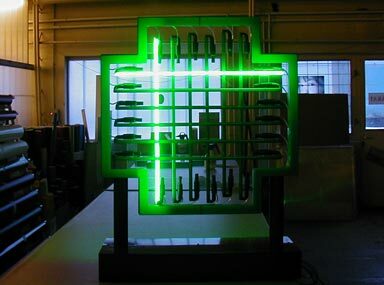 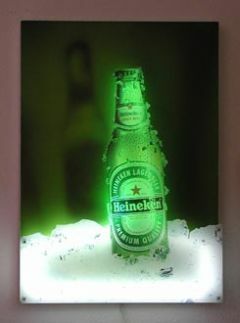 The classical high voltage illuminated signs are made of bended glass tubes. 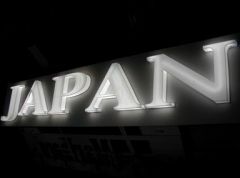 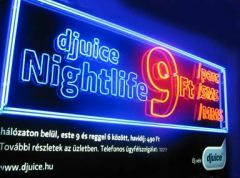 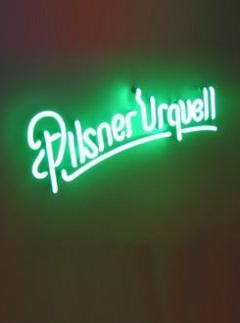 Nowadays these illuminated signs suit to “retro” environment, for their high luminance and various colours have special effects. 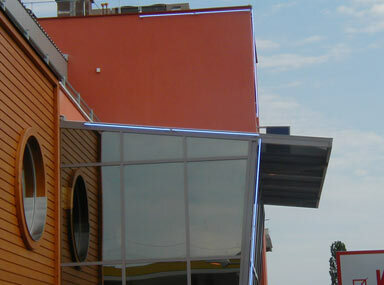 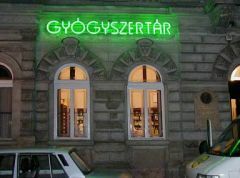 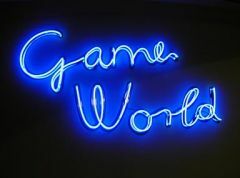 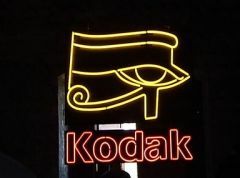 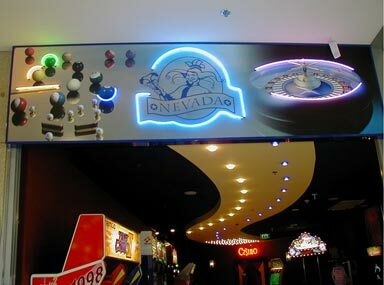 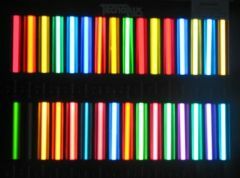 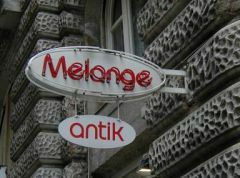 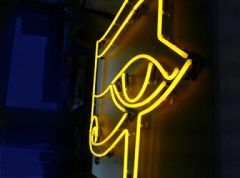 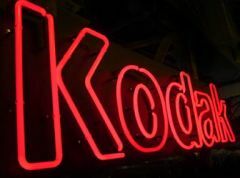 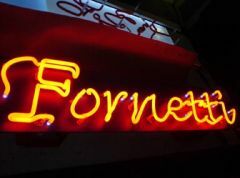 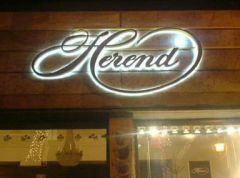 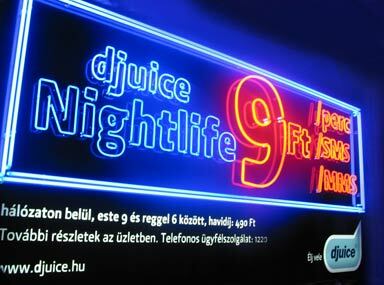 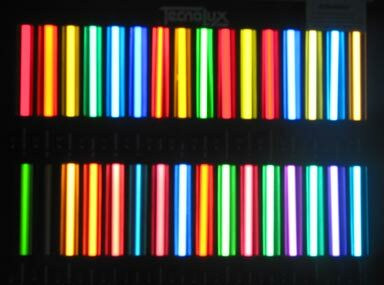 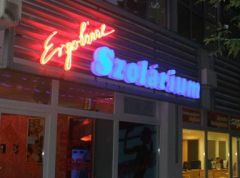 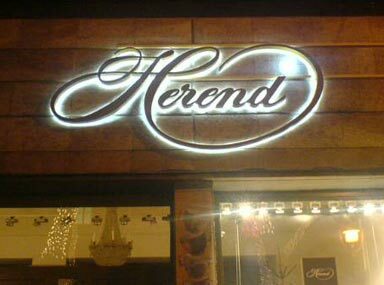 Neon signs made of glass tubes are also used as illuminated signs on the front of the buildings, as well as edge-lights around the building and light source of the light-boxes. 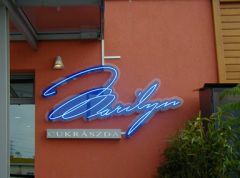 Bended glasses are good for handwriting-effect and arching shapes.